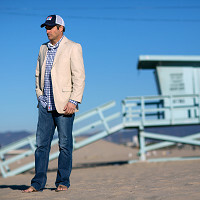 Having grown up in the Midwest, spent time on the East Coast, and settled in California, the founder of johnnie-O shirts, John O’Donnell, wanted to build an apparel brand with a dash of flavor from all of the above. 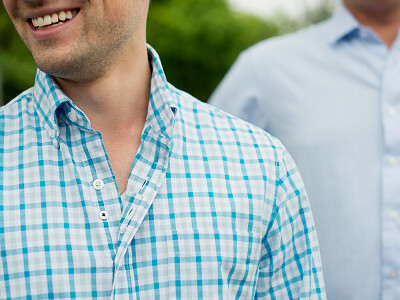 Not too preppy and not too relaxed, the Tweener Shirt from johnnie-O is a button down that owes its name not only to its versatile styling but also to its strategically hidden button between the second and third closure. The signature johnnie-O tweener button is the answer to the age-old question: One button or two? While being too buttoned up can feel stuffy, being too unbuttoned can leave men feeling, well, a bit over-exposed. From the office to date night, you can’t go wrong with the Tweener. John O’Donnell also brings his East Coast prep meets West Coast surfer aesthetic to his favorite pastime with a moisture-wicking 25 SPF performance golf shirt featuring four buttons instead of the traditional three. Golfer or not, this polo is sure to become an everyday favorite. Don’t let the comfortable fit, classic colors, and patterns fool you. 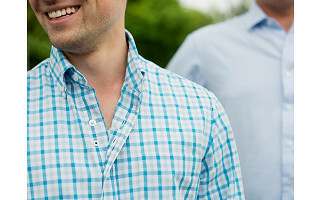 While johnnie-O shirts aren’t over-styled, they are thoughtfully designed right down to the placement of each and every button. I'm John O'Donnell, the founder of johnnie-O. I grew up in Chicago, lived in Wisconsin, and spent lots of time on the east coast before finding a home in southern California. Living in so many places and being exposed to so many different types of style, from the midwest farmer, to the east coast prep, to the west coast "dude," has been my inspiration to create apparel that looks great anywhere, from the boardroom to the boardwalk to the beach. Thanks for having us! Ask away. Having grown up in the Midwest, spent time on the East Coast, and settled in California, the founder of johnnie-O shirts, John O’Donnell, wanted to build an apparel brand with a dash of flavor from all of the above. Not too preppy and not too relaxed, the Tweener Shirt from johnnie-O is a button down that owes its name not only to its versatile styling but also to its strategically hidden button between the second and third closure. The signature johnnie-O tweener button is the answer to the age-old question: One button or two? While being too buttoned up can feel stuffy, being too unbuttoned can leave men feeling, well, a bit over-exposed. From the office to date night, you can’t go wrong with the Tweener. John O’Donnell also brings his East Coast prep meets West Coast surfer aesthetic to his favorite pastime with a moisture-wicking 25 SPF performance golf shirt featuring four buttons instead of the traditional three. Golfer or not, this polo is sure to become an everyday favorite.